HomeKosovoKosovo President lashes out former PM of Albania over Serbian territory exchange proposals. Ethnic tensions expected in the northern city of Mitrovica. Kosovo President lashes out former PM of Albania over Serbian territory exchange proposals. Ethnic tensions expected in the northern city of Mitrovica. 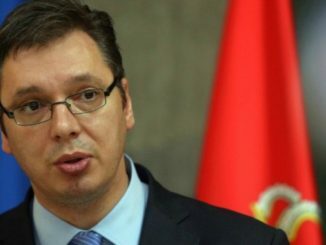 Prishtina, Kosovo | Aug 24 (Tirana Echo) – Kosovo’s President Hashim Thaçi has lashed out at Albania’s former prime minister Sali Berisha who called on Kosovo’s authorities not to enter any bargaining deal with Serbia by trading the Presevo Valley, a region in southern Serbia with a majority of ethnic Albanian population. Berisha’s comments came a day after Kosovo’s President Hashim Thaçi ruled out a recent proposal by Serbia’s President Aleksandar Vucic over a possible partition of the new Balkan republic and the exchange of its northern part with Serbia’s southern Presevo Valley. “I have always been against the change of the borders of Kosovo and against any partition, division or bargaining with its territory, and against any discussion over such issues. Undeniably Serbia has always wanted to use you as a bargaining merchandise for an exchange of territories,” – said Berisha, in a clear criticism of Thaçi’s statements. “NO to the partition of Kosovo, NO to the exchange of territories, YES to the unification of Presheva, Medvegja and Bujanovc with Kosovo, in the framework of a border correction between Kosovo and Serbia as part of an inter-state dialogue for the normalization of our relations. The institutions of the Republic of Kosovo do not need the advice of those who have been ousted from politics by a massive vote. Their advice belongs to a shameful period of Albanian history” – said Thaçi in response to Berisha’s criticisms. 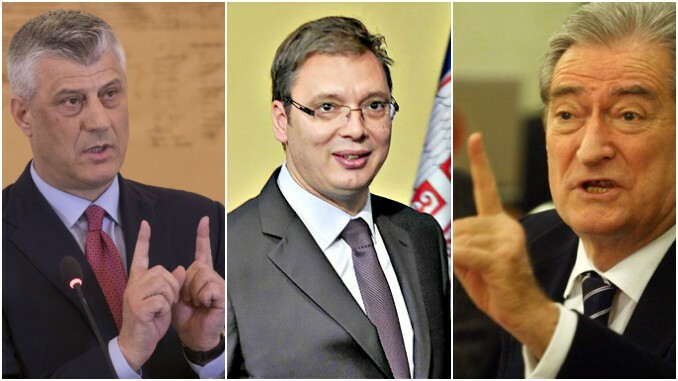 The harsh comments of Kosovo’s President come as a public debate has been stirred up by recent proposals from Serbian President Vucic over a possible exchange of territory where northern Kosovo predominantly populated by ethnic Serbs, could be handed over to Serbia in exchange for the territory of the Presevo Valley in southern Serbia which is mainly populated by ethnic Albanians. 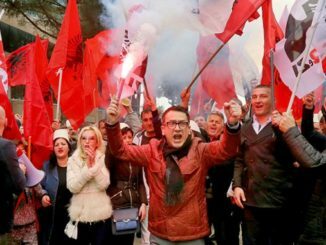 Meanwhile, fears are raised about a possible escalation of ethnic tensions between Serbs and Albanians in the northern city of Mitrovica. As Kosovo’s prime minister Ramush Haradinaj convened his National Security Council promising the constitutional order would be protected, the country’s deputy minister of interior Abdulselami Shkodra said the government is taking any information of possible tension quite seriously. 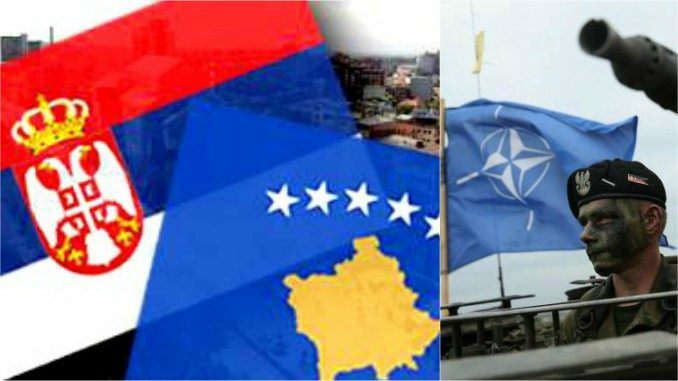 Kosovo is under the military protection of KFOR, a NATO force which has been leading a peace-support operation across the small Balkan country since June 1999. While Kosovo has its own police force, KFOR continues to contribute towards maintaining a safe and secure environment across the country, including the fragile northern area of Mitrovica where ethnic Serbs and Albanians have clashed on several occasions. Since it unilaterally declared independence from Serbia in 2008, Kosovo has been recognized by 117 countries as an independent state. 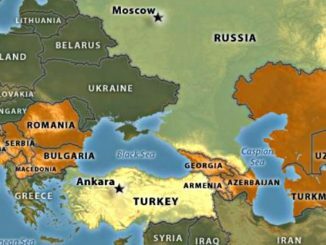 Five EU countries, including Spain, Slovakia, Cyprus, Romania, and Greece have failed to recognize the small Balkan new state.